Ash, Misty and Brock finally arrives at Celadon City, for Ash’s fourth badge, the Rainbow badge. Then they enter a perfume shop, where Brock and Misty both tries different perfumes. Ash counters that what they are doing is a complete waste of time and money, which shocks the kimono girls in the shop. Then, the shop’s owner, a Geisha girl with make-up, kicks Ash out of the shop for what he said about the perfume. Misty and Brock follows him, as Ash decides to go to the Gym to get his fourth Badge, the Rainbow badge. As he enters the Gym, he is stamped with a big, red ‘X’ stamp by mad girls who witnessed what happened at the perfume shop, for as the perfume is made in the Gym itself! Usually, only girls may enter, but on some conditions, boys can also enter. Brock and Misty are welcomed inside the Gym. Meanwhile, Team Rocket decides to enter the Gym to steal all of the perfume, but gets kicked out of the gym at the next moment. Ash, peeking at he gym’s windows, sees the Gym Leader, but is astonished as he recognizes her : she’s the Geisha girl that owns the perfume shop! 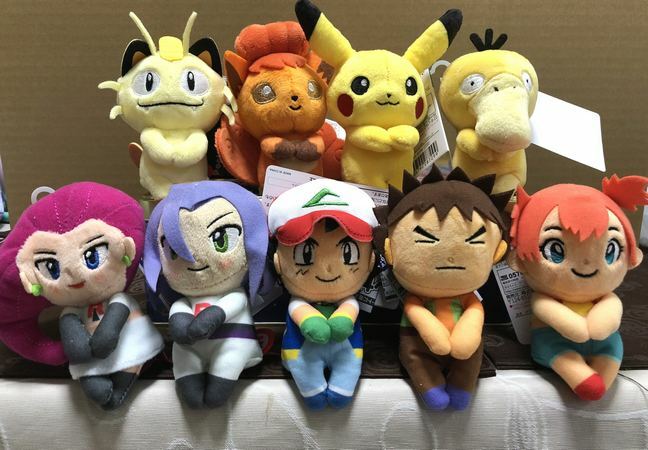 Sitting with a Gloom telling stories to people including Brock and Misty, Ash then crosses paths with Team Rocket, who gets an excellent idea to help Ash sneaking into the Gym ; disguising him as a girl! As for Jessie and James, they disguise themselves as typical adults and put their plans on work ; they will pretend to be the parents of Ash (nicknamed Ashley) wanting her to be registered in the Gym. So, they enter the Gym, and everything is OK. Misty, Brock, and Pikachu still recognizes Ash despite his disguise, and looks in a funny way at him.In front of Erika, Ash reveals his disguise and asks her for a Pokemon Battle. She gladly accepts, and, as a Grass-type Gym Leader, she mainly uses Pokemon like Tangela, Weepinbell and, of course, her Gloom. With Erika being distracted by the match, Team Rocket manages to find all of the perfumes stored in a safe. However, perfumes are very sensitive to combustibles, and the whole gym soon gets blazed in an intense fire! Team Rocket has fled with the ‘secret’ perfume, while Brock’s and Misty’s Pokemon tries to extinguish the fire. Erika suddenly remembers that she forgot her Gloom inside the Gym! Ash runs inside, as hasty as always, and, after a while, finds Gloom. However, it releases an horrid stench, and, after many attempts at grabbing it, Gloom let itself being grabbed by Ash, who exit the Gym safe and sound ; Ash came out only with a few burn scars. Hi guys! 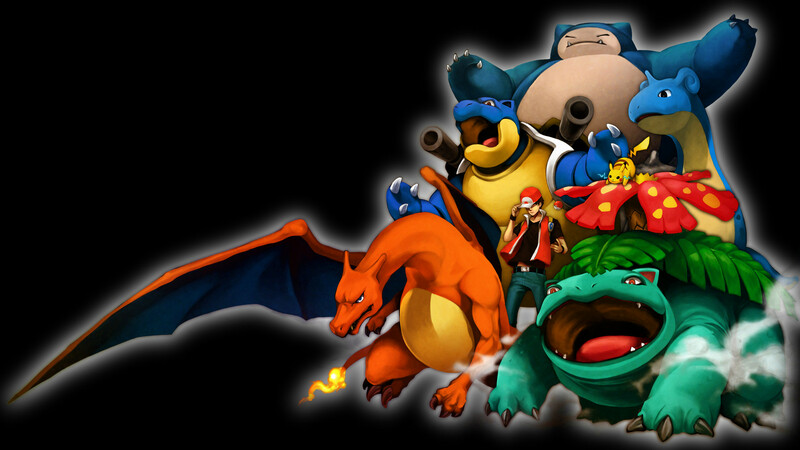 I’m going to summarize and review the 5th episode of Pokemon Black and White. You won’t want to miss this one! Ash and Iris finally arrive in Striaton City. Ash is eager to challenge the Striaton gym leader, but doesn’t know where to go. Our heroes run into Cilan, a Pokemon Connoisseur. Cilan agrees to take Ash and Iris to the Striaton City Gym. When they get inside, the place looks like a restaurant. The gym is actually behind the restaurant and the gym leaders are actually the three waiters, Cilan, Cress, and Chili. Ash is given a choice to battle a brother but boldly asks to battle all three. They agree and the first battle is between Ash’s Tepig and Chili’s Pansear. Next up is Ash’s Pikachu against Cress’s Panpour. After two exciting Pokemon battles, Ash must face Cilan for the Striaton City Gym Badge. It is up to Oshawott to beat Cilan and his Pansage. The battle is fierce and the episode ends with Ash’s Pokemon not looking too well, but without a conclusion. Meanwhile, Team Rocket reports to Giovanni and receives orders for the latest scheme. Finally, we are treated to a gym battle. I’m glad Ash wasn’t hungry. Looks like I wasn’t the only one who was growing impatient for a Pokemon gym battle. Kudos to the writer for making Ash challenge all 3 brothers. Speaking of Cilan, Cress, and Chili, I wonder what hair color their parents have. Oh, and what’s up with the cheerleaders/fangirls hanging out in the restaurant? It brings back memories of the cheerleaders that were following Gary around. Is it just me, or is Iris looking awfully adoringly at something (watch her expression right before the battle is about to begin)?